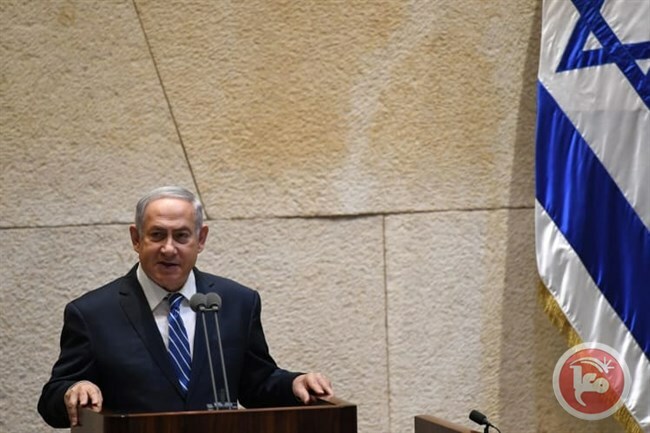 BETHLEHEM (Ma’an) — The Israeli Prime Minister, Benjamin Netanyahu, approved passing a bill into law that allows execution of Palestinian prisoners, Hebrew-language news sites reported on Monday.Netanyahu reportedly gave the green light, on Sunday, to members of his Likud policitical party to support the law on the execution of Palestinian prisoners, a law introduced in 2017 by the Yisrael Beiteinu party, which is headed by the Israeli Defense Minister, Avigdor Lieberman. Despite that Israel currently has a law allowing death penalty, it has not been carried out since 1962 when the Jewish state executed Nazi SS officer Adolf Eichmann.However, the current law allows Israeli military courts to only hand down the death penalty if a panel of three judges impose a unanimous decision.The proposed bill would remove this condition which would allow both Israeli civilian and military courts to carry out executions against Palestinians convicted of murder. In addition, it would require military courts to carry out executions by a majority of two judges instead of full consensus by all judges.